Do you want a house for free? 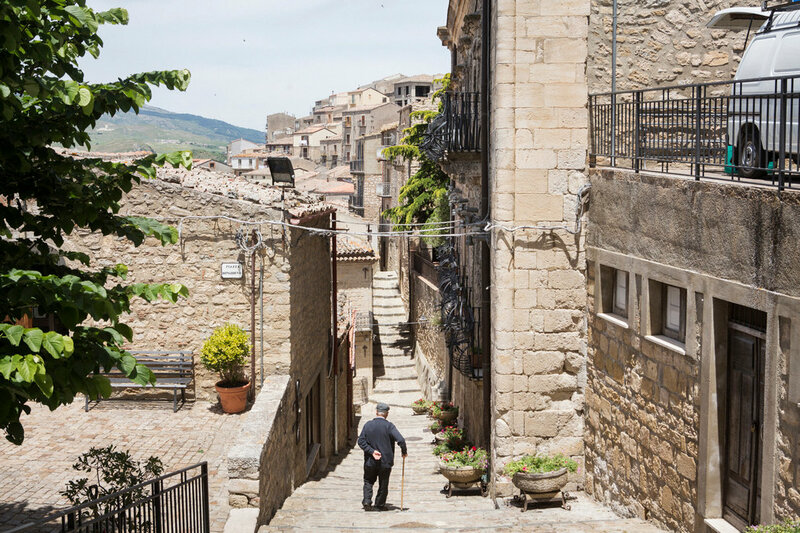 The Sicilian town of Gangi, tucked away in the central part of the country, needs newcomers to replace its vanishing populace. So the local government has decided to offer up vacant homes to businesses that want to spruce up the area with hotels and individuals looking for a European fixer-upper. In a 102-word release, Gangi — local population: 7,000 — curtly explained the terms of the deal. “Those who will be assigned the free houses have to bear the expenses for the transfer of ownership,” the release explains. In other words, it’s your problem now. The formal requirements stipulate that new owners must present a plan for renovation within one year of purchase and complete those renovations within three years. The fixes won’t be quick. Many of the Gangi homes are dilapidated, not having seen any human attention in decades. Still, international attention has been arriving faster than the government can give the houses away. Some of the abodes have already been bestowed to Sicilians in search of second homes and foreigners looking to add to their collection. There are 200 houses left and a waiting list that isn’t getting any shorter. Gangi’s decision to surrender its homes comes after several decades of people uprooting their lives in Sicily to live out American dreams and, later, South American Dreams, Marcello Saija, the director of a network of emigration museums in Sicily, told The New York Times. Between 1892 and 1924, roughly 1,700 immigrants from Gangi landed in Ellis Island. By the 1930s and 40s, New York had been usurped by Argentina as the hot spot for a new life. With increasing buzz for the houses, City Hall has the luxury of being selective. If you’re looking for a summer home, you might be out of luck. “We don’t want people just because they have money,” Gangi mayor Giuseppe Ferrarello told the Times, adding that preference will be given to applicants whose goal is to improve not just a house, but Gangi as a whole. The city isn’t the first to employ the new strategy. Stateside, small towns like Gary, Indiana and larger cities like Indianapolis and Detroit have put their displaced homes up for cheap, either giving them away for $1 or offering them outright.